We open doors all day. And we close doors pretty much all day too. Front doors to our homes, closets, cabinets, retail stores, restaurants, office doors, coworkers’ office doors, bosses doors, bedroom doors. We open and close in oh so many ways. 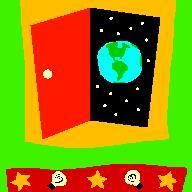 Some doors lead to opportunities, chance meetings, friendships, relationships. I like to think I open all of the aforementioned doors, but I don’t. Not always. Sad to say, a lot of times I close them. Most of the time I regret it, but can’t say that’s always the case. And a lot of times I don’t open a door just because it’s so very cold on the other side. I guess you could say I am in a reflective state right now. Today is my birthday and I really don’t know where the time went. I know everybody says the very same thing and I am definitely no different but it gets harder and harder each year to shake that feeling that I closed way too many doors and didn’t open enough. And then there are the times I couldn’t keep my mouth shut and someone closed the door for me. But what if, just for argument’s sake, I missed that opportunity, or that friendship just because I didn’t open myself up to the new experience. It’s always safer to stay on the same old safe side of the door then to walk through it and right into new territory. It’s always easier to eat the same bologna sandwich every day for lunch because you know you like it then it is to add spicy mustard or potato chips or go hog wild and have an entirely different kind of meal for lunch. What if you don’t like it? What if you get a stomach ache from it? LIfe is full of examples of those that didn’t open the door. There’s the first book editor that rejected J.K. Rowling’s request to represent her. Al Pacino turned down the role of Harrison Ford’s career as Hans Solo. Decca Records sent the Beatles packing before EMI gave them their first recording contract. There was originally a third founder of Apple besides Steve Jobs and Steve Wozniak. He sold his stock for $800. Today his share of Apple stock would be worth over $55 billion. Consequently, what if you succeed? Here’s a crazy idea; swallow the butterflies, tell ‘failure’ to take a flying leap. I’m not saying that doing so would have made me a super rich tycoon or I would ever have had the opportunity to compete with Julia Roberts for the Pretty Woman role. Nor had a chance to team up with the likes of Oprah and become a world class philanthropist. But, then again, will I ever know? I have closed doors when I was afraid to be myself, those are the moments I most regret: a dessert festival where I am more worried about looking fat than enjoying the desserts, a get together with friends of friends where I freeze up and forget what to say, and a soiree with girlfriends where I lack the make-up and the straightened hair to feel sophisticated enough. Yes, those are the moments where I closed the door on myself and I cannot take back. No one was closing that door, but myself and I only have myself and my lack of confidence to blame:( However, as I grow older, I find that those moments occur less and less and I hope to see more open doors in my future with regards to facing that fear of being myself. Thank you Kelartist for your comment. I truly understand your frustration with this subject. And I know how difficult it can be to decipher between those doors that should be opened and the ones that should remain closed. And of course, as you get older the saying “hindsight is always better” becomes increasingly true. So, that being said I do know there are more doors I wish I would have opened or just simply not closed myself. And it does get a lot easier to open and just walk through as you get older. Your maturity Kelartist shows through in your writing. I believe I can safely say you will learn very quickly to open those doors easily, the ones that you should. And will be mindful of the ones you should close or perhaps never open. Pretty much sounds like you have the confidence to face each one and decide.